NYC, 02/06/2019, 7:00PM. Legendary Choreographer Bill T. Jones on Arts and Social Justice. 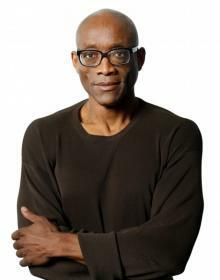 Bill T. Jones, a world famous choreographer, dancer, theater director and writer, has received major honors ranging from a 1994 MacArthur “Genius” Award to 2013 National Medal of Arts to the Human Rights Campaign’s 2016 Visibility Award. The Bill T. Jones/Arnie Zane Company, which was born out of an 11-year collaboration between Bill T. Jones and Arnie Zane (1948–1988), was founded in 1982 and redefined the duet form and foreshadowed issues of identity, form and social commentary that would change the face of American dance. The Company has performed worldwide in over 200 cities in 40 countries on every major continent and is recognized as one of the most innovative and powerful forces in the dance-theater world. Bill T. Jones ventures into Broadway theater resulted in a 2010 Tony Award for Best Choreography in the critically acclaimed FELA!, the musical co-conceived, co-written, directed and choreographed by Jones. He also earned a 2007 Tony Award for Best Choreography in Spring Awakening as well as an Obie Award for the show’s 2006 off-Broadway run. Jones is currently Artistic Director of New York Live Arts, an organization that strives to create a robust framework in support of the nation’s dance and movement-based artists through new approaches to producing, presenting and educating.